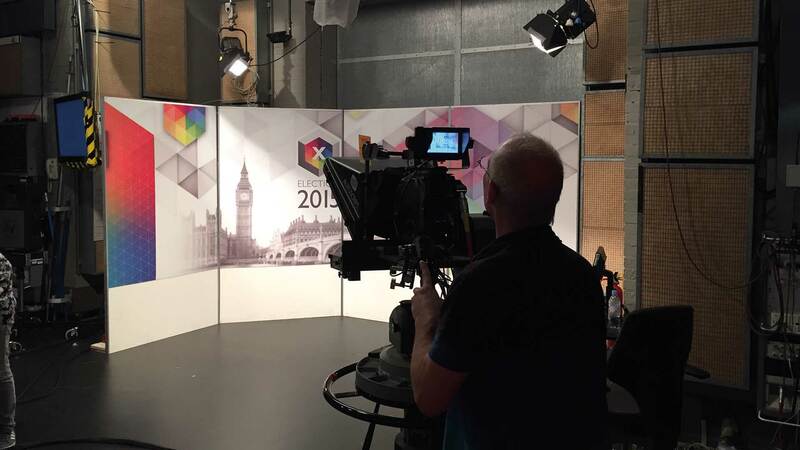 The BBC in the South broadcast local news and politcal debate shows, including national and local election programmes from their studios in Southampton. Each of the programmes requires it own specifically designed and produced studio back drops. 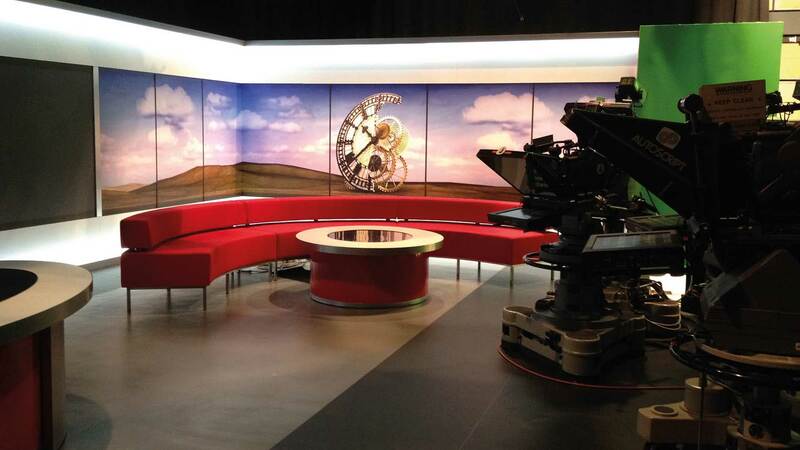 Livewire worked with the BBC's in-house design team who produced the creative studio backdrops that featured throughout BBC South's coverage of the general election and for the regular Sunday Politics Show. We printed the large format graphics using direct to surface print techniques on to lightweight composite panels which are then cut to fit existing studio fascia or free standing backdrops. "Now that the dust has settled I’ve had time to sort through some the election debris, and I thought I would send you these grabs that I managed to get during our coverage. Thanks again for all your help and patience, election time is always fraught."